Six tigers were rescued from a squalid wagon – part of Cross Brothers Circus in Kent – and transported to a lush 15-acre forest sanctuary in Bangalore. 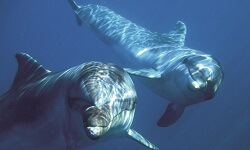 Rocky, Missie and Silver were set free close to the Turks and Caicos Islands. 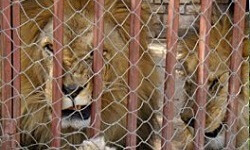 We rescued lions Anthea and Raffi from a tiny cage on the roof of a Tenerife restaurant. 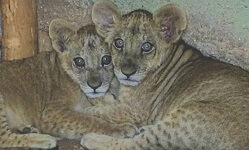 They were brought to a sanctuary in Kent before being relocated to our big cat sanctuary at Shamwari Wildlife Reserve, South Africa, in 1997. 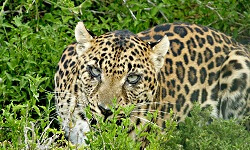 In 1996 we also rescued Rikki the leopard from the same location and he was rehomed at Shamwari in 1999. 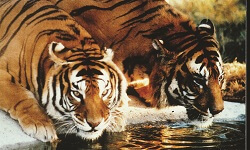 With the help of Jenny Seagrove, Bill and Ginny the tigers were rescued from a Belgian zoo; they enjoyed their temporary home at a Kent sanctuary before Ginny made the journey to our Bannerghatta tiger sanctuary in India in 2002. 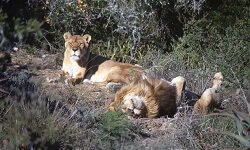 Assisted by BBC’s ‘Challenge Anneka’, Aslan and Gilda the lions were rescued from Athens’ National Gardens; after three years in a Kent sanctuary they were transferred to our big cat sanctuary at Shamwari Wildlife Reserve in 1999. 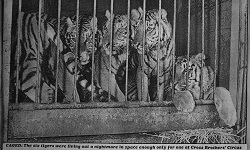 Five tigers were rescued from a cramped trailer – part of an Italian circus – and taken to the Kent sanctuary before making the journey to our Bannerghatta tiger sanctuary in 2002. After 14 years spent in a tiny dirty cage in Italy, Kimba the lioness was rescued and brought to Kent where she enjoyed walking on grass – perhaps for the first time in her life. She sadly died from cancer just weeks later. With our help, Nina the elephant was returned to the wild in Mkomazi, Tanzania, from a private zoo near Arusha. Roque the tiger cub was rescued from a Spanish pet shop, following a large undercover investigation to expose the unregulated pet trade in Europe. 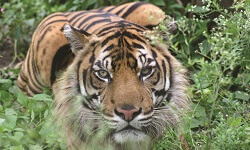 After a stint in the Kent sanctuary he moved to our Bannerghatta tiger sanctuary in 2002. 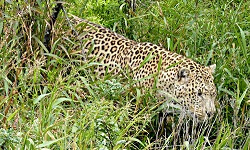 Kuma the leopard was sold as a pet after his mother was killed by poachers. 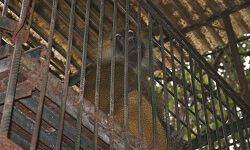 He was then kept at Abidjan Zoo until his behaviour was deemed ‘unpredictable’. Kuma lived happily at our big cat sanctuary at Shamwari until his death in 2016. 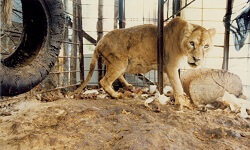 Stella and Dimitris the lions lived in cramped conditions in a zoo in northern Greece. 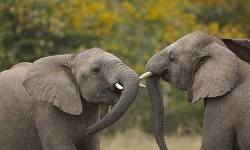 They were rescued and given a new life, free from exploitation, at Shamwari. Sami, Alam and Nimira the leopard cubs were found abandoned in the Sudanese bush and have since been given a wonderful new home in a spacious three-acre enclosure at Shamwari. Sadly, Nimira passed away in 2017. 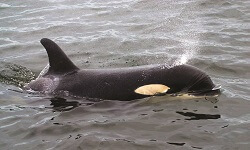 Springer, a baby wild orca, had become separated from her mother and was found alone in the waters near Seattle. Working with Orcalab, we successfully helped reunite her with her family in Canada. 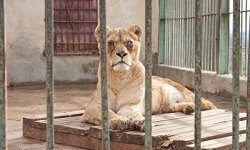 Tammy the lioness was abandoned in a crate at Dubai Airport. 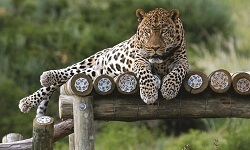 She was taken to Dubai Zoo before funds were raised to bring her to Shamwari. 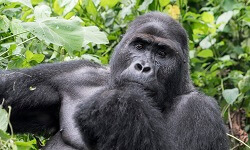 We joined several groups to fight for the repatriation of four gorillas, held in Taiping Zoo, following illegal capture from the wild in Cameroon. 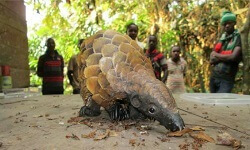 After four years of campaigning, the ‘Taiping Four’ were brought to Limbe Wildlife Centre, Cameroon, in 2007. 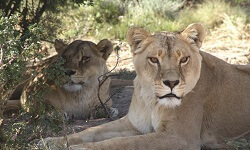 We rescued lionesses Achee from a snowy car park in Romania, and Ma Juah from a concrete pit in Liberia; the two became close friends and shared an enclosure at Shamwari until Ma Juah’s death in 2015. We rescued three baboons from a tiny cage in Madeira and funded an enclosure and lifetime care at Munda Wanga Animal Sanctuary in Zambia. 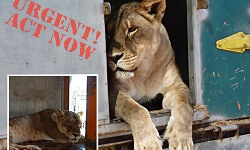 Three lions – Djunka, Nala and Shada – were rescued from a rusty trailer at a French circus. They were rehomed at Shamwari. 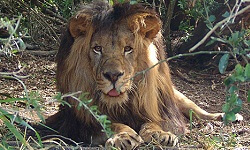 We rescued an emaciated lonely lion, Dolo, from a life spent tethered by a short chain to a wooden shack. 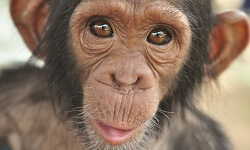 Dolo now lives at our Ethiopia rescue centre, Ensessa Kotteh. 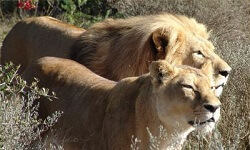 Four lions – Jools and her sons, Jerry and James, and Sinbad – were rescued from squalid conditions in Romanian zoos; they were rehomed at Shamwari. 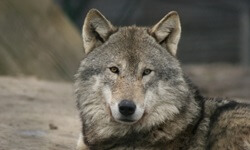 Two grey wolves, Dag and Dastin, were found orphaned in Slovakia. Initially mistaken for puppies by the man who discovered them, the wolves have since been rehomed at a Greek sanctuary. 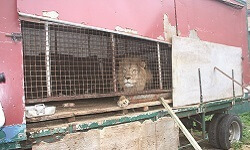 Lion cubs Marina and Sarnia were abandoned in Romania, and Brutus had been kept in a dirty circus trailer in France. 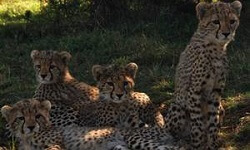 All three were given a new home at Shamwari. 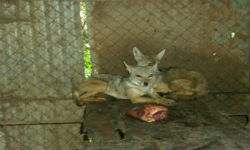 A young serval was confiscated from a trader in Ethiopia, having been kept in dreadful conditions. 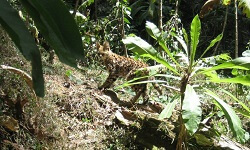 Once recovered, the wild cat was released into a reserve where he was free to roam. 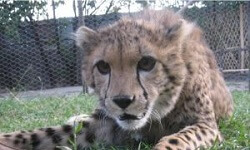 Tiny cheetah cub Menelik was sickly and thin when he was rescued in Ethiopia; he was rehomed at Ensessa Kotteh with another rescued cheetah, Sheba. Masti the wild tiger was caught by his leg in a steel-jawed trap in India. 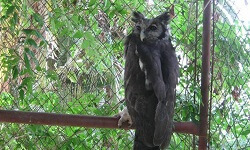 Following the amputation of his leg he was rehomed at our Bannerghatta sanctuary. 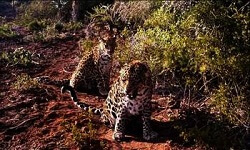 Following a 10-year campaign, two leopards – Sirius and his sister, Pitou – came to Shamwari from a small cage on a cliff in Monte Carlo. 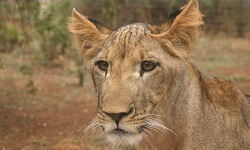 One-eyed lioness Bella was rescued from a freezing winter in a crumbling Romanian zoo and rehomed at Lilongwe Wildlife Centre in Malawi. Three leopards, Leda and her daughters, Roxanne and Rhea, were rehomed from Limassol Zoo in Cyprus to our sanctuary at Shamwari. 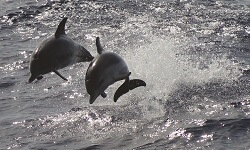 We rescued Tom and Misha the bottlenose dolphins from a filthy swimming pool in Turkey; after two years of expert rehab they were returned to the wild in 2012. An injured lion cub, Safia, kept illegally in a wooden shack on a chain, was rescued and given a new home at our Ethiopian rescue centre as a companion to Dolo. We campaigned to prevent two baby elephants, Makwa and Kennedy, from being exported from the wild in Zimbabwe to a North Korean zoo. 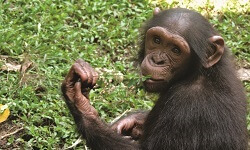 With funding they have been rehabilitated and returned to the wild. 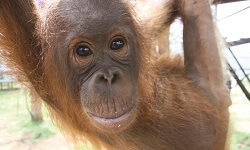 With our support, Bunga the baby orangutan was cared for at International Animal Rescue’s facility in Indonesia. 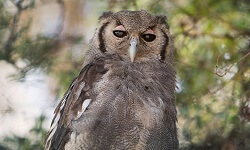 A magnificent eagle owl, Cody, who was kept as a pet, was rehomed by our Ensessa Kotteh rescue centre in Ethiopia. 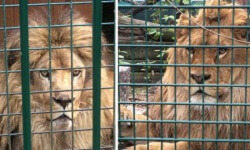 Our Ethiopian rescue centre rehomed four lions – Major and General – from an army base, and Andrea and Janu from the Presidential Palace in Addis Ababa. We helped rescue four baby chimps – Sara, Medina, Mini and Cocoa – sold as pets in Sudan, and gave them a home at Ngamba Island chimpanzee sanctuary in Uganda. 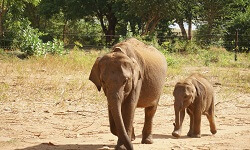 We helped the Elephant Transit Home rescue a baby elephant, Jubilee, when she lost her mother in Sri Lanka. Our Ethiopian centre helped rescue five cheetah cubs – Namazzi, Dembe, Lakota, Miremba and Little Mo – who were being sold as exotic pets by wildlife traffickers in Somaliland. 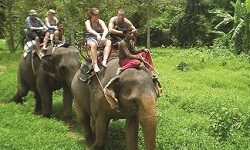 We helped EARS Foundation secure retirement in two acres of grassland for Sombo the elephant, who was previously forced to give tourist rides on the streets of Phnom Penh, Cambodia. Our rescue centre in Ethiopia rescued two goshawks which had been kept as pets; following careful rehab they were released back into the wild. 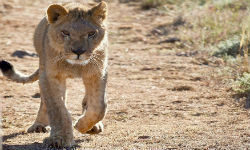 Kebri the lion cub was rescued and given a new home at Ensessa Kotteh in Ethiopia. 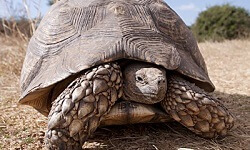 Thirty giant leopard tortoises were given a home at Ensessa Kotteh after they were rescued from the exotic pet trade. A baby bonobo – a rare great ape related to chimps – called Mireille was rescued in the Democratic Republic of Congo and taken to a sanctuary for care and safety. Spotted hyena Matama received round-the-clock care and a home at our Ethiopian rescue centre. 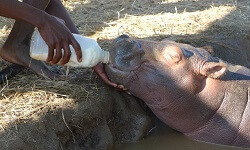 We helped Chipembele Wildlife Education Trust in Zambia by raising funds for the care of Douglas the baby hippo. 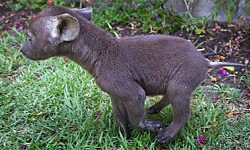 Two week old Douglas was close to death when he was rescued, and has since been nurtured and rehabilitated in preparation for a return to life in the wild. 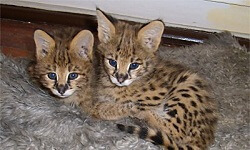 Serval kittens, Ajay and Shalla, were rescued and then cared for at our centre in Ethiopia and have since been returned to the wild. 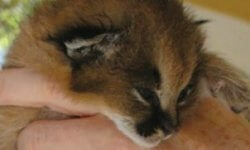 Caracals Terrs and Tuffa were rescued from the exotic pet trade; the wild cats have since been prepared for life back in the wild by the team at Ensessa Kotteh. 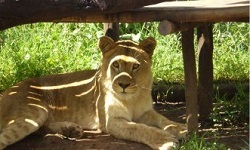 Ex-circus lion Simba was rehomed from a Belgian rescue centre to Lilongwe Wildlife Centre, where he was a companion for Bella the lioness. 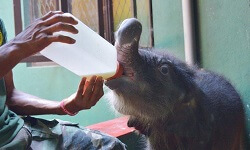 We helped rescue Kavindee, a new-born baby elephant in Sri Lanka, who became separated from her family. 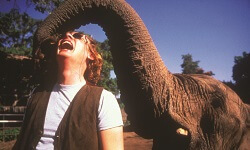 She was subsequently cared for at the Elephant Transit Home. We rescued Shylo and Screamer – two orphaned hyena cubs whose mother was tragically shot. 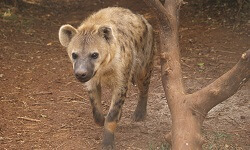 They were cared for at Ensessa Kotteh and joined our hyena family. We helped our colleagues at Limbe Wildlife Centre, in Cameroon, to rescue Chinoise, a 13-month old baby chimp used to attract customers to a Chinese restaurant. We rescued jackals Hara and Maya from a squalid zoo and tiny, barren cage in Ethiopia, and gave them a new life at Ensessa Kotteh. 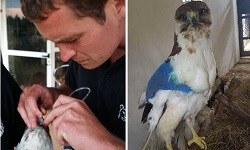 We rescued a malnourished young tawny eagle in Ethiopia and – after care at Ensessa Kotteh – returned her to the wild. 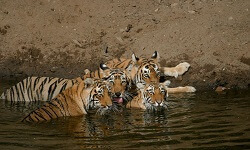 Our Bannerghatta tiger sanctuary became home to four ex-wild tigers who came into conflict with local people in India. 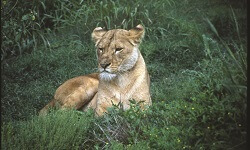 We rescued Elsa the lioness from an Italian circus in Sardinia and rehomed her at a temporary sanctuary in Tuscany. We gave lioness sisters Maggie and Sonja – rescued from a German circus – a new life at our big cat sanctuary in Shamwari, joining lonely Jerry the lion rescued from a Romanian zoo. 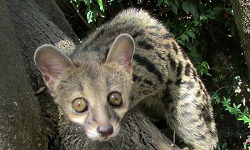 Orphaned genet Jenny was rescued and taken to our Ensessa Kotteh rescue centre in Ethiopia. 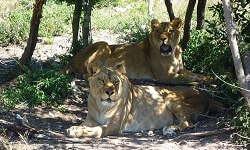 We rescued Bulgaria’s last two circus lions, Jora and Black, and brought them to our sanctuary at Shamwari. 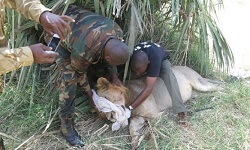 We rescued a snared young male lion in Kenya’s Meru National Park and returned him to the wild. 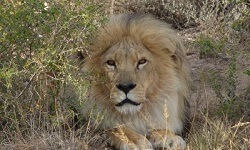 We relocated a young male lion, coming into conflict with local people in Cameroon, to the safety of Waza National Park. 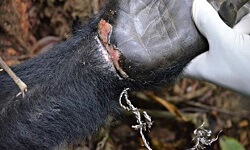 We helped rangers rescue and return to the wild two endangered young Eastern Lowland Gorillas caught in wire snares in Kahuzi Biega National Park, DRC. Three bear cubs – Mollie, Georgia and Louisa – were found orphaned and alone after devastating floods in Georgia. They were rehomed at Arcturos Bear Sanctuary in northern Greece. 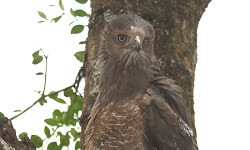 Fantu the young augar buzzard was rescued with a damaged wing and will need lifetime care at our Ensessa Kotteh rescue centre. 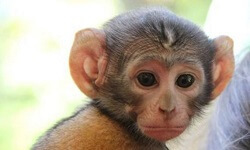 Orphaned baby patas monkey Gambi was rescued in west Ethiopia by our Ensessa Kotteh rescue centre. Adult lion Nogobi, lion cub brothers Rea and Girma, and cheetah siblings Kakaway and Hailu were rescued from an Ethiopian police station and brought to Ensessa Kotteh. We helped rescue and care for Pangi – an orphaned baby black-bellied pangolin in Central African Republic – who we rehabilitated to be returned to the wild. 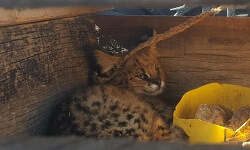 Wadera the serval kitten was rescued by our team at Ensessa Kotteh in Ethiopia and successfully returned to the wild. 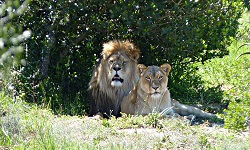 Lions Ciam and Nelson – rescued from a French garden and zoo respectively – were given a new home in Shamwari. 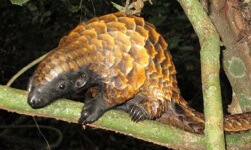 Koki the infant pangolin was rescued and cared for at Sangha Lodge in Central African Republic before being returned to life in the wild. 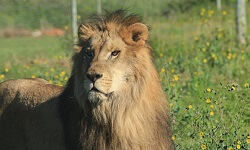 We rehomed King the lion at our big cat sanctuary at Shamwari. 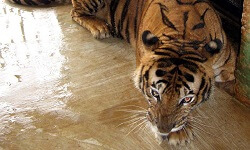 He had previously been kept illegally as an 'exotic pet' in an apartment on the outskirts of Paris.